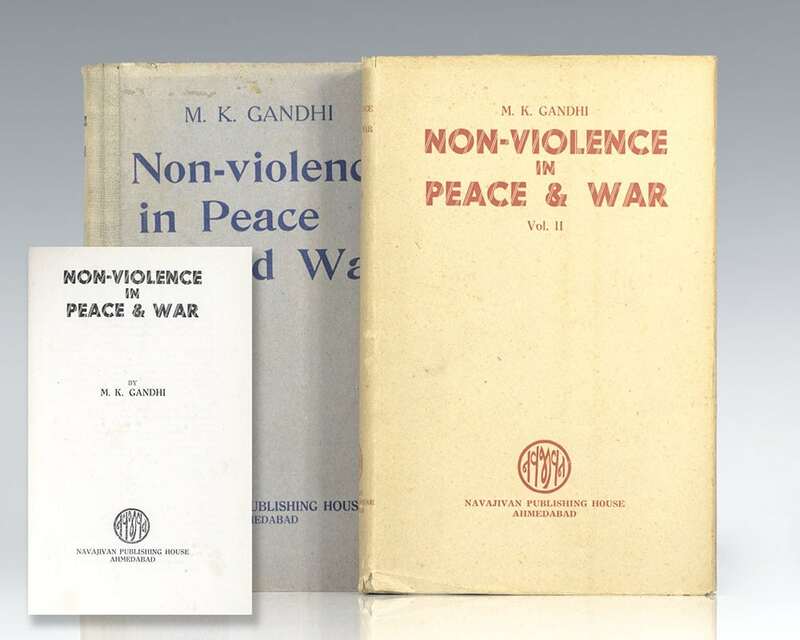 Non-Violence In Peace & War. Ahmedabad: Navajivan Publishing House, 1942-49. 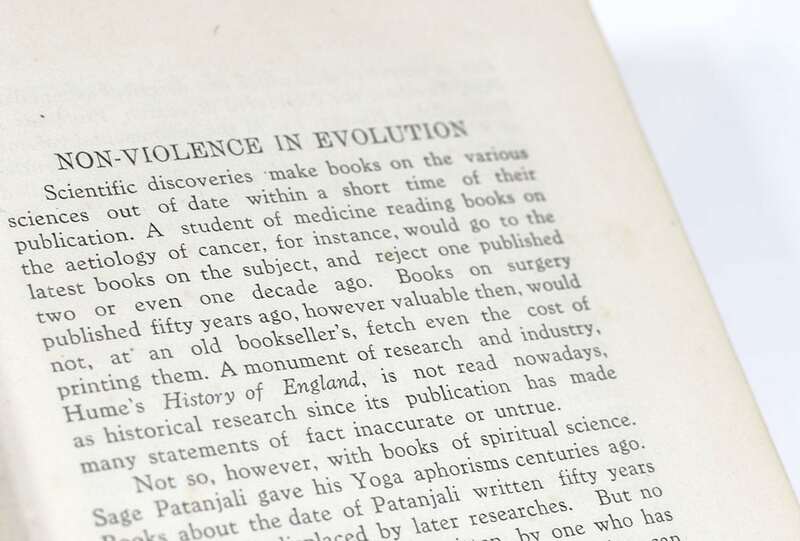 Rare first editions of Gandhi’s classic work. Octavo, 2 volumes, original cloth. Volume one is in very good condition, the original corrigenda slip laid in, contemporary name to the front free endpaper. Preface by Mahadev Desai. Volume two is near fine in a near fine dust jacket. Edited by Bharatan Kumarappa. An exceptionally nice set. Mohandas Karamchand Gandhi led the 32-year struggle for Indian Independence against British rule employing the use nonviolent civil disobedience, inspiring movements of civil rights and freedom throughout the world. 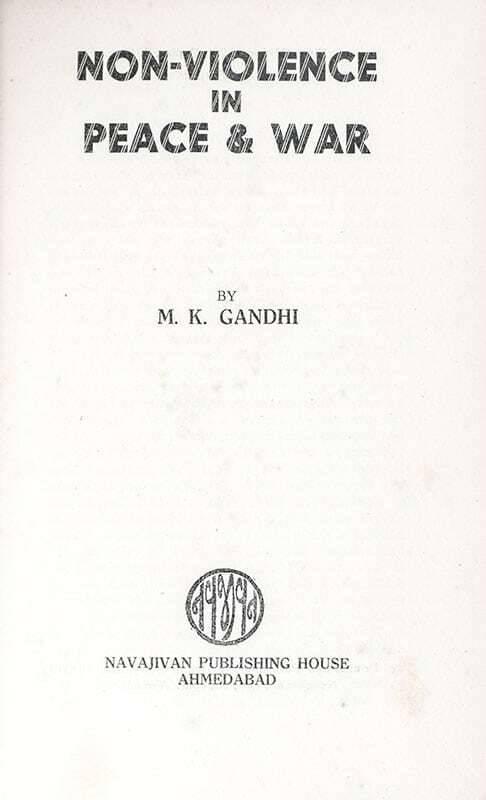 Gandhi lived a modest lifestyle and was held as a political prisoner for many years throughout the course of the movement. In 1948, only two years after the British reluctantly granted independence to the people of the Indian subcontinent, Gandhi was assassinated on his way to a prayer meeting in the Birla House garden. His death was mourned nationwide; over two million people joined the five-mile long funeral procession in his honor.